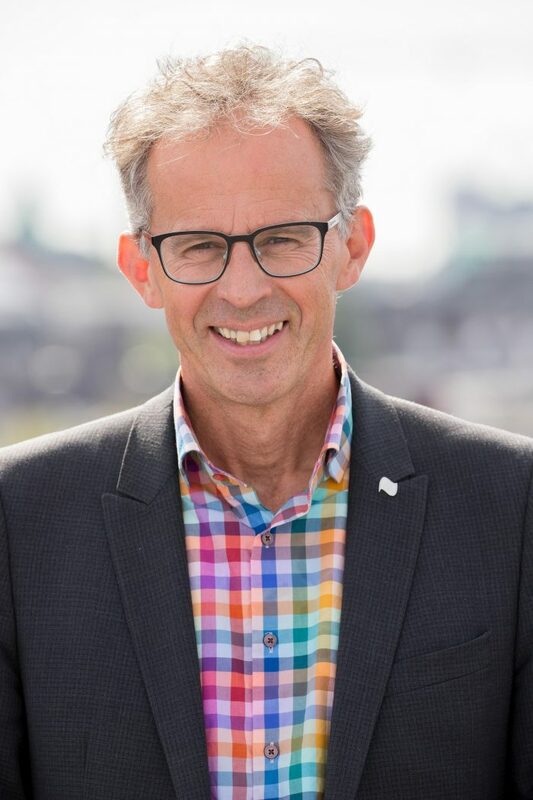 Han de Groot, the CEO of the new Rainforest Alliance and the former executive director of UTZ, reflects on the shared vision that brought the two organizations together. January 2018 marks an auspicious beginning for the Rainforest Alliance and UTZ, which have just formally merged into a new organization that carries forth the Rainforest Alliance name. The new Rainforest Alliance has a bold and ambitious goal: to accelerate and scale up our work to tackle today’s most urgent challenges: climate change, social inequity, rural poverty, and biodiversity loss. Our vision—to create a world in which people and nature thrive in harmony—is animated by radical hope. It is also grounded in decades of experience and research. Each organization came to this merger with a long record of proven success in catalyzing sustainability transformation across industries that have a major impact on rural people and the environment. The deep well of talent in both organizations—including agronomists, sustainable forestry veterans, scientists, development experts, and far too many multi-lingual colleagues to count—gives me confidence that together, we will be an even more powerful force for the change we want to see. Both organizations have driven enormous progress across important commodity sectors through their certification programs, which scientific research has shown to deliver clear benefits for people and the planet—benefits that companies of every size are beginning to recognize as good business. Together, the two certification programs already include some of the business world’s key players, including multinationals like Mars, Nestlé, Cargill, and Lipton, as well as trend-setting companies like Patagonia, Seventh Generation, and Martin Guitars. And each organization brings unique strengths and strategies to the table. UTZ has established a strong sector-based model of sustainability transformation, bringing farmers together with civil society groups, companies, and other actors across the supply chain to drive change. The Rainforest Alliance has decades of experience in integrated landscape conservation initiatives that focus on building sustainable forest economies in partnership with indigenous and forest communities. Both UTZ and the old Rainforest Alliance have developed effective climate-smart agriculture training programs to help farmers both mitigate climate change and strengthen their resilience to its destructive impacts. These include proven methods for soil and water conservation, increased productivity, and record-keeping. These practices are also enshrined in both certification standards. Additionally, the Rainforest Alliance has developed a multifaceted landscape strategy to halt deforestation—one of the primary drivers of climate change. Both organizations are founding members of the Global Living Wage Coalition, a collaboration between seven standards organizations working to establish region-specific living wage benchmarks to inform supply chain partners, workers, and trade unions. Additionally, concrete measures to protect key human rights, such as the right to free association and the right to decent housing, are critical components of both the Rainforest Alliance and the UTZ certification systems. These commonalities in our certification standards will guide us as we work to create a new, single standard in 2019. Additionally, UTZ has dedicated sector partnership programs devoted to gender equality and the prevention and remediation of child labor, and both organizations require training on gender equity, child exploitation, and living wage. The pre-merger Rainforest Alliance has established itself as a leader in sustainable landscape development programs that strengthen the land rights and the economic self-determination of indigenous peoples. Boosting the productivity of farmers is another major area of overlap. Independent studies demonstrate that the sustainable agriculture methods prescribed in both the UTZ and the Rainforest Alliance sustainable farming programs improve crop yields and boost farmer income—thereby reducing some of the pressures that commonly drive deforestation. Central to our shared approach is the recognition that thriving farming communities and healthy ecosystems are mutually dependent. Both organizations have advanced critical interventions, through training and certification, to protect forests and prevent biodiversity loss. 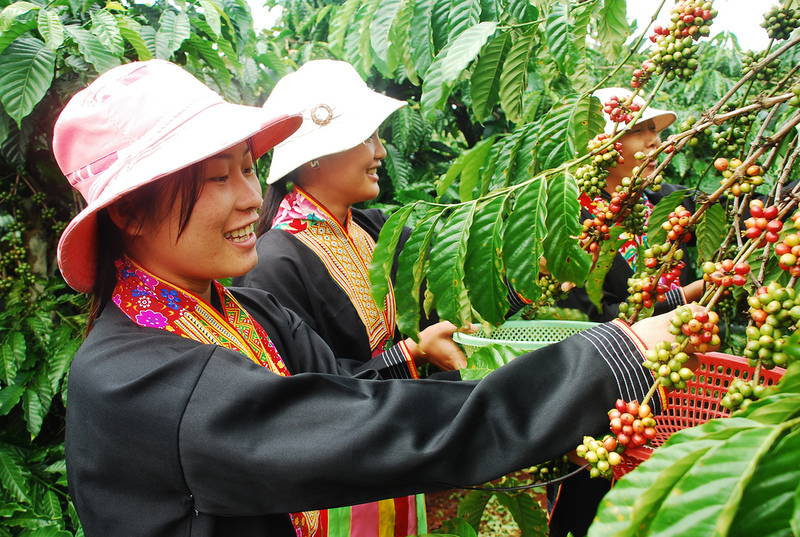 Sustainable farming methods that have been proven to protect biodiversity are a part of both certification standards, including integrated pest and weed management, buffer zones, shade trees on coffee farms, and protection of local streams and rivers. The pre-merger Rainforest Alliance also includes prohibitions on hunting (exceptions are made to respect cultural traditions of indigenous communities) and an emphasis on planting native trees. The greatest asset of all, of course, is the extremely dedicated staff of pragmatic, intelligent optimists from both organizations who have years of experience in collaborating with all kinds of partners to achieve our shared sustainability goals. We are by nature problem solvers and alliance builders, and this mindset will be our greatest asset as we build a new organization from two similar yet distinct organizations doing their utmost to make this world a better place. We have just taken a big step forward by joining forces. Together, we will build a stronger and bigger global alliance for a better future. Dear UTZ . I have read this arcticle with much delight because I applied for the position of Program Officer for Cameroon and went through 1st step of interview but unfortunately was never called for the second and final round. I am still very interested to one work with UTZ . The article is very useful. I am very impressed with UTZ work to better the future of family and work in a world where human and the environment strive in harmony. Very useful tool this days towards climate change in farming communities. Way forward to achieving our sustainable goals. Very useful tool this days towards climate change in farming communities. 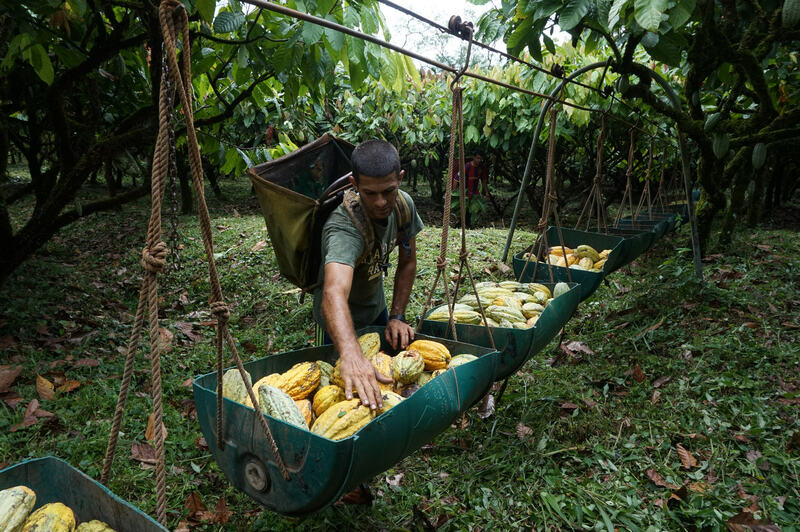 How does the UTZ program work together with others to make the cocoa, coffee and tea sectors more sustainable?